This is part 4 of my 6-part series on emotional eating, the perversion of food in our society today, and how to overcome it. If you haven’t, read Part 1: Food as a Symbol of Love, Part 2: Deep Entanglement, and Part 3: Becoming at Peace with Food first. What is emotional eating? It is eating to feed your emotions, vs. your body. It is sometimes known as stress eating, because many emotional eaters eat in response to stress (though stress is not the only trigger – happiness, sadness, among other emotions can be triggers too). Emotional eating is the result of an unhealthy relationship with food. Instead of seeing food as what it is, i.e. something you consume for survival (like air and water), you misconstrue it into something else. You become attached to it, give it emotions, personify it, and make it out to be something it isn’t. Compulsive overeating or compulsive eating, (also known as binge eating), is an aggravated form of emotional eating. This was the problem I experienced, as shared in Part 2: Deep Entanglement. It happens when (1) the original emotional eating issue is not addressed (2) the triggers for emotional eating are aggravated, leading to an increased need to eat to feed the emotion(s). Given time, an emotional eater switches from merely eating in response to emotions, to massively overeating in response to emotions, since he/she is unable to get salvation from his/her original consumption. While not always the case, compulsive overeating often comes with poor body image and low self-esteem. Emotional / Compulsive / Binge eating is more prevalent than you might think. 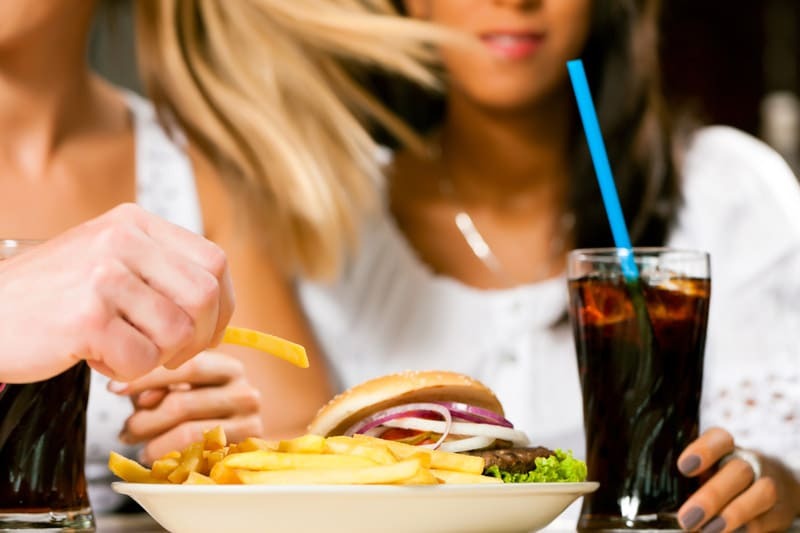 Believe it or not, nearly 2.5 million adults in United States today suffer from compulsive overeating, with probably many more unreported cases. Because of how our society has wrapped itself around food, almost all of us have a skewed relationship with food, whether we acknowledge it or not. You eat when you are stressed. When you have things to do (work / studies / exams), you reach out for food subconsciously. Especially when you’re up late at night and by yourself, though it can happen in the day and in front of others too. You eat as a response to your emotions. You eat when you feel sad / annoyed / disappointed / angry / lonely/ empty / anxious/ tired / bored. It’s a reaction so subconsciously embedded that you don’t even think about it. You just automatically reach out for food whenever you experience those emotions. You seek solace in food. When you feel down, you seek out “comfort food”. You bury yourself in food like ice cream, cake, chocolate and cookies, even though they are absolute junk and have zero nutritional value. For some reason you can’t quite explain, they provide you with comfort. You have trouble losing weight (due to the way you eat). Even though you want to lose weight and you know the technicalities behind losing weight such as the foods and quantities you should eat, you have trouble sticking to your diet. You can’t seem to stop yourself from eating as and when you want to (see next sign). Your eating is out of control (You can’t stop yourself from eating). You eat even when you are not hungry, and you continue to eat even when you should have stopped long ago. Your desire to eat seems to have taken a life of its own. At times you would even go out of the way just to get food or to satisfy a particular craving, even though you may not be hungry at all. You eat to feel happy. You are emotionally dependent on food, relying on it for happiness. You derive positive emotions from eating, even though it’s nothing more than a neutral activity to help you live, just like breathing, drinking water, and passing waste. Note this is entirely different from appreciating food as you eat it, which I’m all for. This is about eating specifically to derive the feeling of happiness, which creates a lopsided relationship. You eat when you feel happy. You see eating is a necessary companion to happy emotions, just like how people eat to celebrate good news. You are fascinated with eating / food. You love food. You love to eat. When you’re not eating, you can’t help but think about food. You long and crave for it. When you’re eating, it’s like you’re in wonderland. Eating and food draw an intense level of interest from you. Interestingly, none of your fascination is reciprocated by food nor eating. You use emotionally-charged words to describe food / eating, like “sinful”, “decadent”, “guilt-ridden”, “love”, “lust”, “indulgent”, “enticing”, “craving”, “tempting”, etc, even though food is a non-living thing, incapable of feelings nor returning your love/hate. You eat even though you are rightfully full. No matter how much you eat, no matter how full you feel, you never feel quite satisfied. Whatever satisfaction you get from eating is momentary, and you return to eating after a while to recapture that emotion. You think of eating even though you are rightfully full. Even after you’ve had your fill, you continue to think of food. You think about what to eat for the next meal right after you’ve finished eating. You obsess about X, Y, Z food, and when you can eat it. You can’t wait till it’s time to eat again. You think about how satisfied you’ll be when you finally get to eat. You count down to the next meal time. You have random food cravings out of the blue. Sometimes, you get urges to eat certain food, which you can’t explain yourself. And it’s not even that you’re hungry. It’s just a craving which you must satisfy, else you’ll feel unhappy for the day. Does any of the above resonate with you? Why is Emotional Eating Bad For You? Some people might argue that it’s perfectly okay to eat in response to an emotion. That if you feel like eating even though you just ate, you should just eat. That if you feel like eating ice cream and chocolate after an argument with your boyfriend, you should just eat. That if you are stressed out and think eating will make you feel better, you should just eat. I think if you have absolutely no idea how to tackle the situation, and you absolutely need to eat to maintain your sanity at that moment, then go ahead and eat, because I suppose it is the best option you have within the confines of that situation. However as a long term solution, you should definitely look into your emotional eating and learn to address your problems/emotions (or at least develop better stress/problem coping mechanisms in the time being), because emotional eating is not a sustainable habit. In fact, it causes more detriment to you than you can imagine. Say you feel upset all of a sudden. You’re not sure how or why, but you know pie will make you feel better. You reach out for a piece of apple pie in the fridge, and you tuck in. As you eat, you feel happy. You savor the taste of the apple pie in between bites. You think about how wonderful it is to be eating this pie and how lucky you are to be able to consume this food. And after you are done, you feel all better. With a renewed focus and more positive state of mind, you then get on with your plans for the day. What’s wrong with this scenario? It may look like nothing’s wrong and might well be a common occurrence in your daily life. You might even point out that, “Hey! Food has served such a positive role here! What’s with all this nonsensical rubbish about emotional eating being bad for you?”. #1. The original reason why you were upset is never uncovered. Sure, your negative feelings were offset by eating. But why did you even feel negative to begin with? Where did the emotion spring from? How long has it been there? What triggered it? And how? Do you even know? Or were you just too preoccupied with the thought of eating, too busy eating and filling yourself in your food, to even care? #2. Since the trigger is not uncovered, the issue remains unaddressed. Your negative feelings may have been offset by food, but that’s only in that instant, and it’s merely a surface patch. There is a deeper place where the emotions came from, and that problem source is still there, suppressed among the many other things in your life. Just like hiding your head in the sand doesn’t mean the world doesn’t exist, successfully dispelling the emotions via eating doesn’t mean the problem has disappeared. It is still there; you just don’t know it. #3. You create a loop in your life. #4. You become emotionally dependent on food. As you rely on eating to dispel negative emotions and usher in positive ones, you become dependent on food to make you feel happy. You begin to hanker after food, to dissolve negative emotions when you feel down. You begin to hanker after food, to uplift you when you aren’t. If you are ever denied food when you need it, you become angsty. Food has become your crutch, where you are unable to function at your full potential when it’s not there. It’s akin to drug addiction. While I was resolving my emotional eating issue, I found it very helpful to refer to my friends who have extremely healthy relationships with food. None of them have intentions, urges or inclinations of any kind to eat when they are not hungry or had their fill, no matter how integral food may seem to the occasion (even with birthday cakes on birthdays). During the years I was heavily entrapped in my cycle of emotional eating, I thought they were crazy, missing out on life, and were just controlling themselves on the inside. But now I finally realize that it was because there was absolutely no reason for them to eat since they were not hungry, and they were just being at peace with that which is only suppose to fuel their body. There’s no control nor discipline on their to speak of, because there’s no urge nor desire to eat to begin with – due to their fully healthy relationship with food. One just needs to ask oneself the following questions, to know that there is more than meets the eye: Why is there a need to consume this, when there is no physical need? To derive emotional pleasure, satisfaction? But why would you derive emotional pleasure/satisfaction from consuming this? Why is your happiness dependent on the consumption of food? And why is it that there are other people who don’t experience this, but you do? What is it about your internal wiring that’s making you react this way? What if you can self-generate this same sense of happiness (if not more) by yourself, without food? All of us have the ability to do that – we just lost touch with that because we became emotionally dependent on food to elicit happiness. It’s all about reconnecting with that ability in us. #5. You live in an illusion. You think you are happy, but you aren’t. Emotional eating never solves anything, since food cannot fill that which it is never created to fill. The role of food, by design, is to feed our physical bodies and give us energy to live. That’s it. While eating may make you feel better in that one moment, that’s because (a) eating food (especially “comfort” food that’s high in carbohydrates and sugar) triggers the release of serotonin (a hormone in the brain), which then creates a happy feeling (b) a part of you has been conditioned to link eating with happiness, which makes your happiness a self-fulfilling prophecy. This means whatever happiness you feel while eating is false, induced, and temporary, as opposed to true happiness which comes from within, without having to eat to induce it. This also means whatever made you unhappy is still there, floating somewhere in your life. You are just covering it up with makeshift feelings generated from eating. No sooner will that same issue come back to bite you (see #3) – when you least expect it. Is this what you deem as living a conscious life? Is this what it means to live in in line with your highest truth? I think you deserve better and you are capable of better. #6. You have to deal with physical implications of eating more than your body needs. Weight gain. The most immediate, and the most obvious. When you turn to food for salvation, it’s a matter of time before you gain weight – possibly even becoming overweight or obese over time. This is why emotional eaters tend to be overweight and heavier than the average person, though not necessarily so if they exercise excessively to offset their extra food intake. This is just a temporary fix though – see #7. Weight gain can be a very traumatic experience, especially if you do not wish to gain weight. It leads to more stress, which makes you eat in response, hence perpetuating the problem. Often times, weight gain leads to a decrease in physical attractiveness, if we benchmark against society’s norm for attractiveness. This inadvertently leads to poor body image, lower self-esteem, and potentially self-hate. Given the food people turn to in times of solace is junk crap such as pies, pastries, desserts, chips candy, fried food, junk food (typical “comfort” food), and not salads or fruits, it leads to higher cholesterol, and poorer health. #7. You abuse your body with unnecessary work. This is important enough to be called out as a separate point. Last but not least, you abuse your body, weighing it down with increased (and most importantly, unnecessary) digestion, food processing, and extra body weight. You make yourself more fatigued due to all that extra body weight you’re carrying around, and you wonder why you’re more and more tired nowadays. For those of you who embark on rigorous exercise thereafter to offset the extra calories you took in, that’s additional wear and tear you’re making your body go through, when the whole thing could be avoided in the first place via a different coping mechanism. You may look physically in shape, as if you do not overeat, but that doesn’t negate the fact that you are putting your body through work that it doesn’t have to go through. A car that has been pumped with fuel and subsequently had its fuel exhausted via driving around the city for 10,000 times is never going to be in the same condition as a car that is only filled and driven where necessary. The former is going to be in a worse off condition, due to the constant usage, while the latter will be in a fresher condition. It’ll be a matter of time before the former breaks down and stops functioning (think early death, disease, heart failure, etc), before the latter does. Likewise, our physical body does not last forever. It wears out faster or slower, depending on how we treat it. How did we come to be emotional eaters anyway? Advertisements of people smiling and laughing as they eat. (Usually junk food, too, as these corporations tend to be the ones with large advertising budgets.) Think ads from McDonald’s, Burger King, KFC, Pizza Hut, Taco Bell, etc. Celebrations over food, be it weddings, birthday parties, Chinese New Year, Hari Raya, Deepavali, Thanksgiving, Christmas, house parties, post-exam parties, etc. Family and social outings that revolve around food, such as picnics, breakfast, brunch, lunch, tea, dinner, potluck. Family and social bonding over meals / food. Dramas / Movies where characters bond over meals / food, like family dinners, reunion dinners, celebrations, etc, hence reinforcing #4. When we receive gifts of love/friendship in the form of food. Such as via chocolates, meal treats, cakes, etc. When we are taught to convey our love/friendship in the form of food. Such as during occasions like Valentine’s Day, Christmas, Mother’s Day, Father’s Day, Chinese New Year, etc. Hearing phrases that connect eating with other connotations. For example: “Eating is a form of luxury” (Chinese idiom – 能吃是福) or “Food is scarce – Don’t waste food”. The former associates positive emotions with eating, while the latter attaches feelings of obligation. When people show love/care/concern through food. Such as: “Have you eaten?” or “Do you want to have lunch/dinner/tea together?” or “Are you eating enough?” or “Have more of this (food).” These add an emotional dimension to eating. Promotion of eating as a culture, lifestyle, hobby. 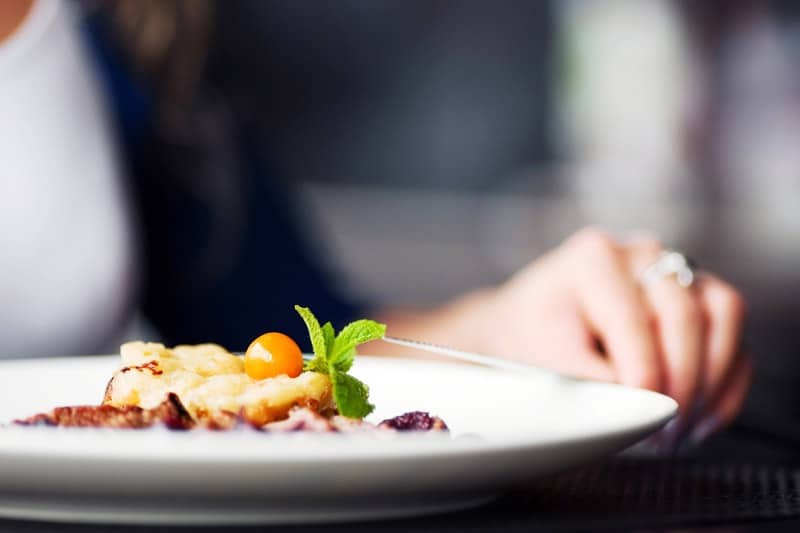 While eating used to be a functional activity to keep us alive, there are now gourmet cuisines, high class restaurants, exotic food options, national delicacies, and what not. Cooking and baking have been transformed into elaborate hobbies to be pursued. Varieties for food items are plentiful. For example, pastries today come in a multitude of designs. People now “live to eat”, vs. “eat to live”. In conjunction with #2-#5, almost every social activity today takes place in the presence of food. Rarely would you find a gathering with no food involved. Think lunch, dinner, tea, supper, picnic, parties – even movies come with popcorn and hotdogs. 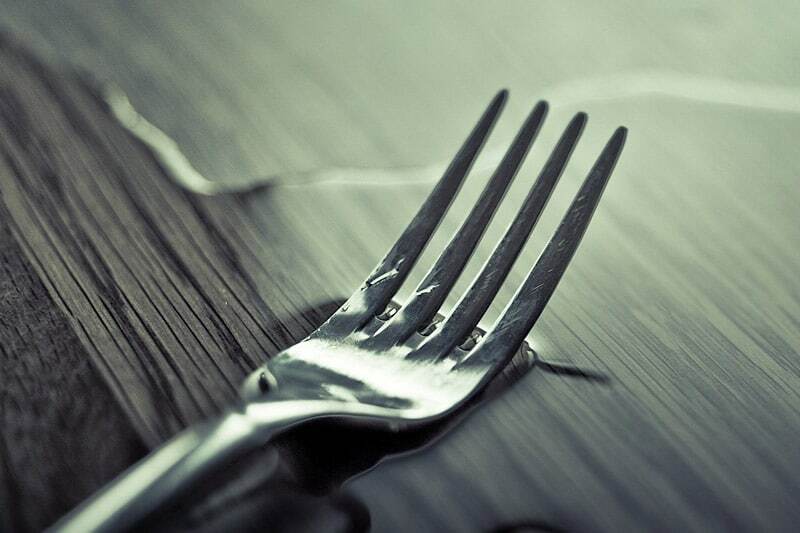 It’s little wonder that food has become so twisted in our minds today. Our conditioning since young has turned us from healthy people with neutral beliefs surrounding food, to food addicts who associate eating with happiness, love, and a myriad of other things. This leads to the phenomenon of emotional eating, where we would eat repeatedly despite non-hunger, just to fill our emotions. Looking back at my emotional eating years, it is obvious how much I had struggled with food, how much of my life had revolved around food, and how all of that was entirely unnecessary. The thing was, while I was living in the bubble, I thought this spectrum of emotions with respect to food was normal. Just like how some alcoholics or drug addicts see their addictions as under their control, I couldn’t see the problem since I was living it. It was after resolving my food issues that I realized it really wasn’t normal at all. That there is a better way, a more conscious path, one that doesn’t involve food nor eating. Just because everyone has the same problem doesn’t mean there isn’t a problem. It doesn’t mean it’s okay either. It just means that everyone is stuck in the same situation as you. Don’t let the norms of the society cloud over your better judgment. The solution shouldn’t be to live in the problem, but to resolve it consciously. Emotional eating doesn’t have to persist. Just like me, you can break free from the chains binding you and food. And I will share with you how in the next part. This is part 4 of my 6-part series on emotional eating, the perversion of food in our society today, and how to overcome it.